Mark Pentico was born in Norfolk, Nebraska. He graduated from Pierce High School in Pierce, Nebraska and Doane College in Crete, Nebraska with a degree in Business Administration. Mark then attended Mesa Community College and completed his Mortuary Science degree. He received his funeral director license in 2002 and owned and operated Pentico Trade Service and Crematory for five years. Mark is married to Shasta and they have three children: Boston, Brecken, and Bodee. Jaret Hendrickson, born and raised in Geneva, NE. Graduated from Geneva High School in 1995. Attended the University of Nebraska, Lincoln for 3 ½ years before attending and graduating from the Cincinnati College of Mortuary Science in 2001. Worked in the Cincinnati, Ohio area for 9 years before moving back to Nebraska. Worked for Braman Mortuary in Omaha for 8 years. Jaret and his wife Mindy reside in Ithaca with their two children, Vander and Vada. Audrey Williams has lived in rural Saunders County almost all her life and she graduated from Mead High School. 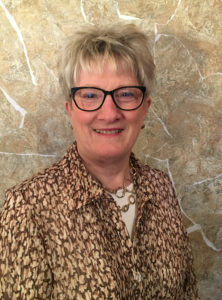 Audrey has worked at Marcy & Svoboda Funeral Homes since 1986. 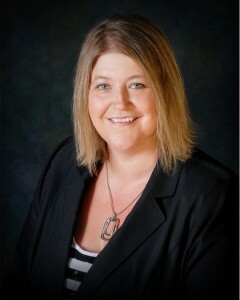 She is trained in After Care Counseling and provides guidance to grieving families. Audrey is an expert in Advance Funeral Planning and holds a Nebraska insurance license to assist families with pre-arrangements. She spends much of her time in Ashland overseeing the operation of Marcy Mortuary. Audrey has been married to Rodney Williams for over 40 years and is blessed with four married children and many grandchildren. Shasta Pentico was born in Norfolk, Nebraska and graduated from Pierce High School in Pierce, Nebraska. She graduated from Southeast Community College in Lincoln. Shasta played a large role in operating Pentico Trade Service and Crematory in Omaha. She assists with funeral home operations and manages the office duties. Shasta is married to Mark and spends a lot of time caring for their three children: Boston, Brecken, and Bodee. Don Fick was born in Nebraska and raised on a farm near Ithaca. He attended Mead High School and graduated from the Dallas Institute of Mortuary Science, of Texas in 1978. In his earlier years, Don worked as a licensed funeral director for Jim Svoboda and also farmed near Ithaca. He gained many years of experience working as a funeral director in Omaha and left John A. Gentleman Mortuaries in 2004 when he and his wife Lois became owners of Marcy Mortuary. Don will continue to be a part of the operation serving families. Don and Lois have three children.